Valentine's Day is just around the corner and I'm all about crafts with hearts and treats. I'm a sucker for sweet embroidery patterns and OESD has the best (pun intended). I wanted to create some unique DIY Valentines gifts with their design collection, Valentine. A little different than your average gifts with embroidery but fun none-the-less. 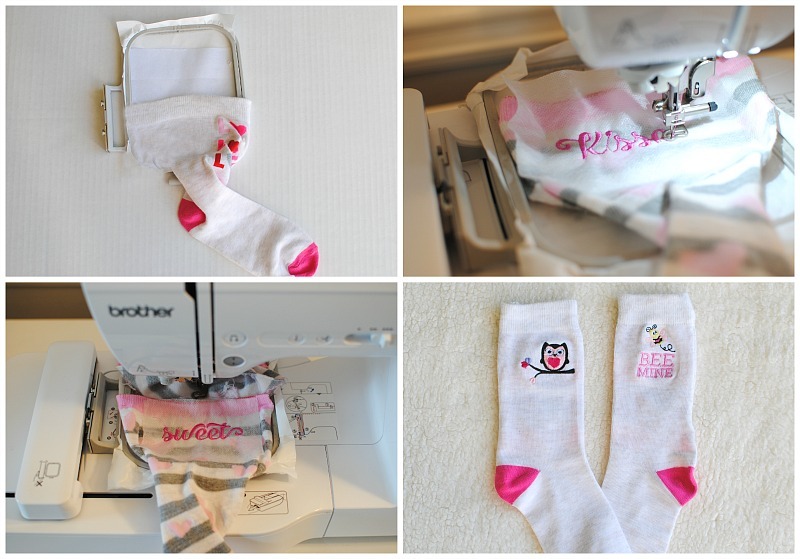 Get the details below on how to embroider your own V-day socks and add a festive look with this DIY embroidered elbow patch just in time for the upcoming holiday. Use an adhesive tear- away stabilizer and hoop it sticky side up. 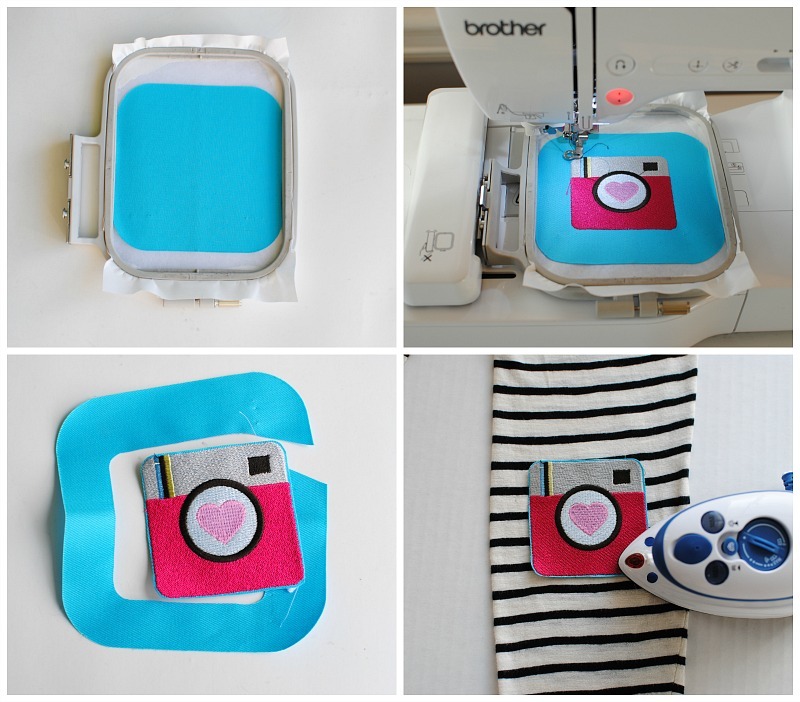 Place a Twill Iron-on patch on the center of the hoop. Position the design to the center of the patch. Remove any excess twill around the design. Iron the patch onto the elbow area of a long sleeve top. Use an adhesive tear-away stabilizer and hoop it sticky side up. Place the sock over a small hoop and tack the back down so you don't embroider through. 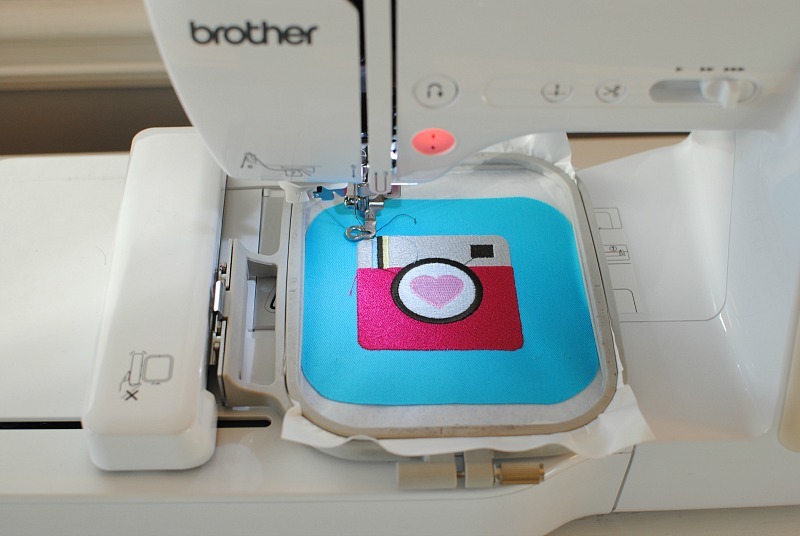 You can use a baste stitch, clips, or pins. Once secure, position your design and embroider. Use a wash away stabilizer as a topping to get a more detailed design. Remove the top stabilizer with water. I love creating one-of-a-kind gifts with embroidery and these Valentine's designs were perfect. See more embroidery patterns and products EmbroideryOnline.com. Such a lovely DIY Valentines Day Gift idea! How about handcrafted diamond ring? from the classy and timeless collection by Charu Jewels. Nice and it was getting reader's reviews and collection of matters about the writing topic. The general way of writing and editing option is possible with our writing company. Writing papers are making as you like. we allow the customer's feedback about the documents also. I am always searching like this type blog post. I hope I will see again.. !!! 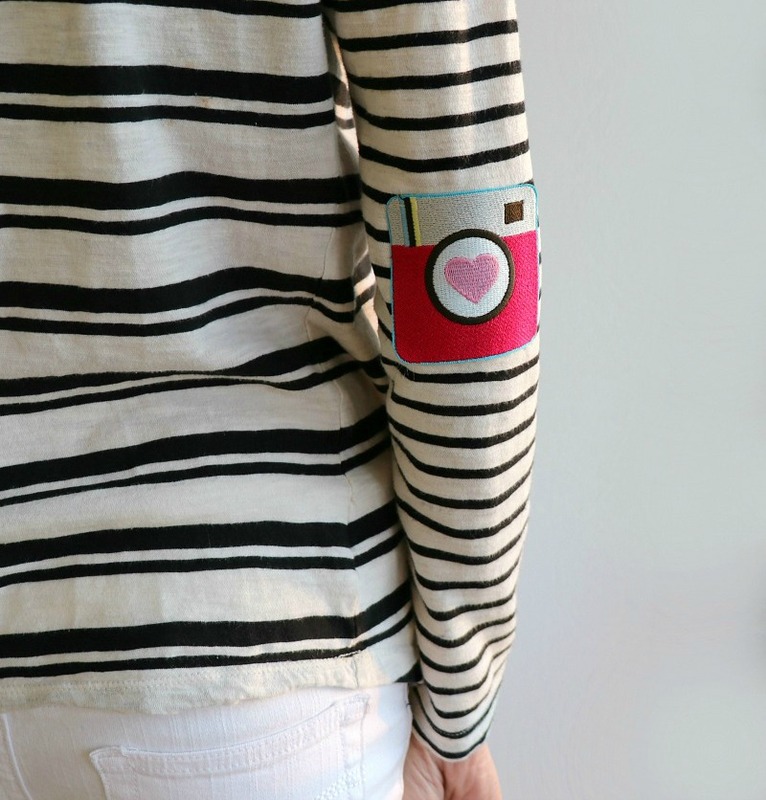 I am a big fan of DIY products and these embroidered valentines day gifts are awesome. It is to be longer site. Wow its amazing website in over all online gaming market and you can play online game in this un block games Then when you think about it. Just visit our website. Embroidery in Centurion has never been easier. 24 HOUR Embroidery has its own industrial embroidery equipment, which enable us to deliver to the highest quality standards and ensure that you are completely satisfied with the end result. Amazing hobby. Thanks for sharing such a beautiful post. To those who need more time for personal hobby, advanced writers can help with writing assignments. such very use full information. Love to read it, Waiting For More new Update and I Already Read your Recent Post its Great Thanks. I found your this post while searching for some related information on my blog research. keep posting and update the information. lots of great information and inspiration, both of which I need, thanks to offer such a helpful information here. Students Assignment Help provides the best expert assignment help to the various college or university students around the world. We help the students to score high in their academic career. Email us at info@studentsassignmenthelp.com or WhatsApp at +44-755-536-9184 and send your assignment queries. 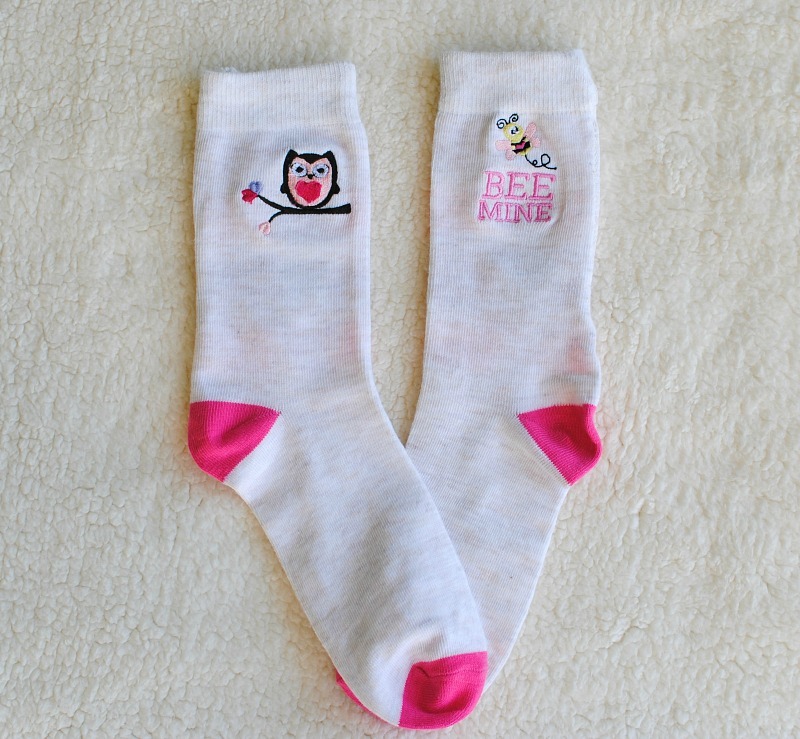 Thanks Embroidery Online for the cute designs. Its always hard to decide from the collection they always bring. I am pinning this post for long weekends! Writing an interview essay is a complex task that requires much preparation, thoughts, and planning. You can rely on our service and be sure of the quality of the ordered paper. If you do not have a clue how to complete a legal or a business memo, do not hesitate and seek professional assistance from 123HelpMe.org. Aside from the ability to spend a great deal of cash, they are the best individual to oblige the fast changes of fashion sense even outside their nation.